In this review of the Abu Garcia Revo Inshore Spinning reel, I will show you the features that make this a great choice for a variety of your inshore fishing. The Revo Inshore is available in 4 models, Revo Inshore 30, Revo Inshore 35, Revo Inshore 40 and the largest of the models – the Revo Inshore 60 – for your larger species such as Stripers, Sailfish, Tuna, Snook and Bull Redfish. 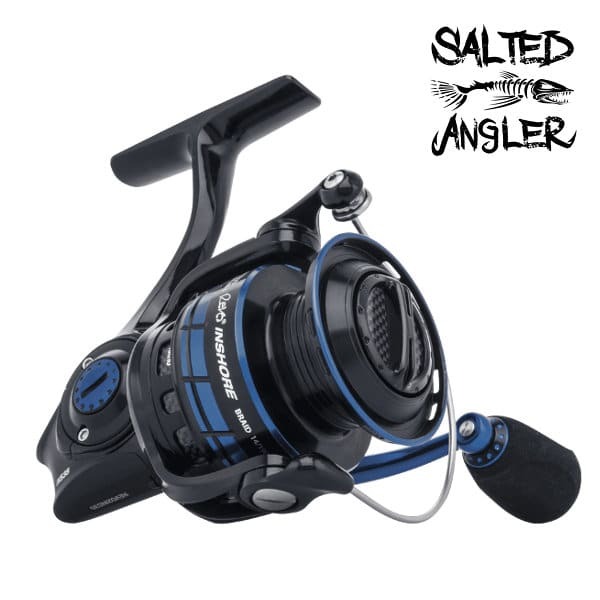 A few of the features that make this reel great for inshore fishermen and women are the HPCR corrosion resistant bearings, stainless steel main shaft and machined aluminum gears which when combined deliver a reel that is smooth and durable. Abu Garcia uses a computer-generated cog gear design which means that the gears have a precision to them that makes them smooth. The rocket line management system controls the oscillation system and the bail angle. This means that the way that the line comes off the spool is much more controlled, allowing for a better casting experience. This feature also comes into play when retrieving the line as it means that you will have a much evener line lay on the spool and we all know that even line lay means smoother casting. The Abu Garci Revo Inshore Spinning Reel is a winner and is available HERE. K-Clutch anti-reverse on 30 and 40 size models: the K-Clutch anti-reverse is featured on the 30 and 40 size models only. This feature prevents the shaft from any counter-clockwise rotation thanks to a wedge action, while torques are simultaneously applied to the shaft for maximum staying power. Machined aluminum braid ready spool: the braid ready aluminum spool featured on the Abu Garcia Revo Inshore Spinning reel eliminates unnecessary weight and the need to have any mono backing. This means that the spool lets the braid be tied directly to it without any risk of the line slipping. AMGearing system: the AMGearing system or Aluminium Machine Gear technology allows Abu Garcia to use computers to achieve extremely tight tolerances when manufacturing the gears which in turn means you get a smooth reel with gears that will stand up to the abuse that larger fish are known for. Carbon Matrix™ drag system: the carbon drag design gives you the best of both worlds – a smooth low startup but at the same time a high capacity max drag to help you deal with even the larger catches. 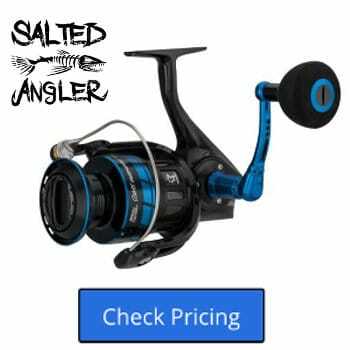 Everlast bail system: the Everlast bail system is designed to improve the durability of this inshore saltwater reel drastically. The bail is lightweight and easy to flip both manually and with the crank of the oversized aluminum handle and EVA knob. Large EVA knobs for comfort and grip: the Abu Garcia Revo Inshore Spinning reel features a large EVA knob mounted on an aluminum handle that can be mounted on either side for both left and right-handed fishermen. The extended aluminum handle gives you a lot more power when you’re holding on to those larger fish. While the knobs themselves can at first take a while to get used to, once you’re used to them, they will begin to feel very natural in your hand. Stainless steel main shaft and components: if there’s anywhere you want stainless steel to be, it’s in the main shaft. This is where strength comes before weight, ensuring that the central part of the reel and the gearing system, performs well every time. To protect such cutting edge machinery, Abu Garcia has made the main shaft and its components stainless steel to provide maximum durability. Slow Oscillation for even line lay with all line types: it’s going to be hard to get a backlash with the Abu Garcia Revo Inshore Spinning reel, however, I am sure if you really try you can achieve it. With its slow oscillation, this reel will gently yet powerfully cast your line out without creating a bird’s nest in your spool. No matter what line type you’ve chosen to go for, you can feel confident that you can cast out as far as you want and then get a nice even line lay when retrieving. 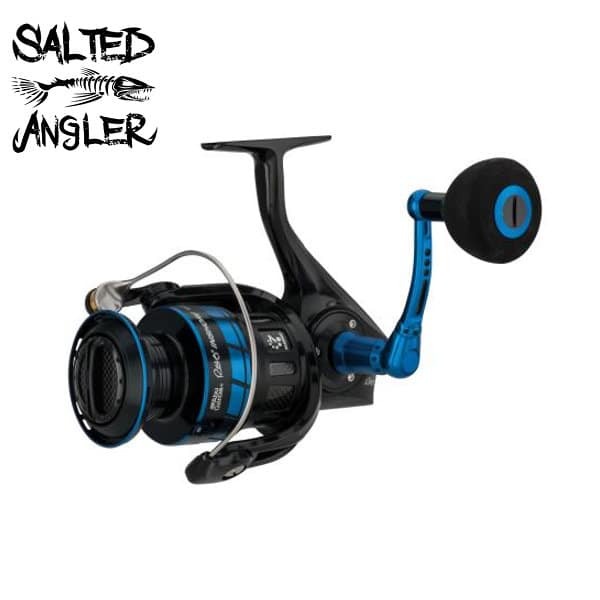 This reel also has an impressively high line capacity – 185 yards, to be exact, which is what you need for those saltwater fish. 30 and 35 models utilize C6 carbon body: To keep the weight down on the smaller 30 and 35 models, Abu Garci uses what they refer to as the IM-C6 or (Insert Moulded C6) body design that has a unique gearbox design that is housed within the strong and very lightweight C6 carbon fiber. This is the same material that is often used on high-end sports cars like the Corvette. 40 and 60 size models utilize all-aluminum body: while the aluminum in the 40 and 60 size models is heavier than that of the C6 carbon fiber material, it has its advantages for these larger sized reels as it has less of a tendency to flex under a load of a fish and will keep the shaft and gears better aligned. Instant Anti-Reverse: the instant anti-reverse feature relies on a roller bearing, not a series of teeth, to prevent the reel from reversing when setting the hook. When teeth are used, the gaps between the teeth result in a back play that delays the hooksets. With instant anti-reverse, you’re guaranteed an immediate halt. The Abu Garcia Revo Inshore reel was built from the ground up to be a reel that will withstand the test of time in harsh saltwater conditions. The HPCR or (High Performance Corrosion Resistant) bearing system features 6 + 1 HPCR bearings, that are designed to get saltwater on them and not corrode as quickly, making it perfect for fishing in saltwater. The AMG or (Aluminum Machined Gearing) gear system is made on a CNC machine of aluminum, creating gears that mesh together tightly which leads to strength and durability that’s hard to find elsewhere and will ensure that your gears last season after season. As with many of the reels these days that are geared towards inshore fishing, the Abu Garcia Revo Inshore Spinning reel features a braid ready spool that allows you to tie your braid directly to the spool. For our field test, we paired the Abu Garcia Revo Model 30 Inshore with one of my all time favorite rods the 6′ 6″ St. Croix Mojo Inshore. I headed out on the sound early in the morning to see if I could stir up some speckled trout in the grass flats. I started out with a 4″ topwater as I find that early in the day I can wake those guys up with a bit of surface action. During the first hour and a half, I was able to connect with half a dozen specks in the 13″ – 18″ range. The 11 lbs of drag from the Carbon Matrix drag system was more than ample for these smaller trout so I backed it way down to get a little more play. I fond the drag to be smooth from the initial strike all the way through landing the fish back at my kayak. The question was would this 11 lbs of drag be enough if I were to connect with a straying redfish. I switched over to a 7″ pearl white Z-Man jerk shad on a 1/4 oz. Owner weighted twistlock and went to work on the edge of the grass bed in about 3′ of water. After cruising around for about 20 minutes with no action I was able to land a nice 24″ redfish that gave the reel a bit more of a test. Again the drag was smooth and I found that casting both the topwater and the soft plastics were easy and I was able to get some decent distance. I found the 35″ retrieval rate of the size 30 model to provide good action to both the hard and soft baits. In the next 2 hours, I landed a few more short reds and 1 bull red that was approaching 28″. I had to crank the drag down which was easy to do with the top drag adjustment and again the drag was smooth and sufficient to land the fish. Overall I am looking forward to continuing fishing with this reel and see how it holds up over time when compared to my Daiwa Fuego LT which is a little bit more than half the price, has twice the drag in the same size and weighs 0.2 oz less. 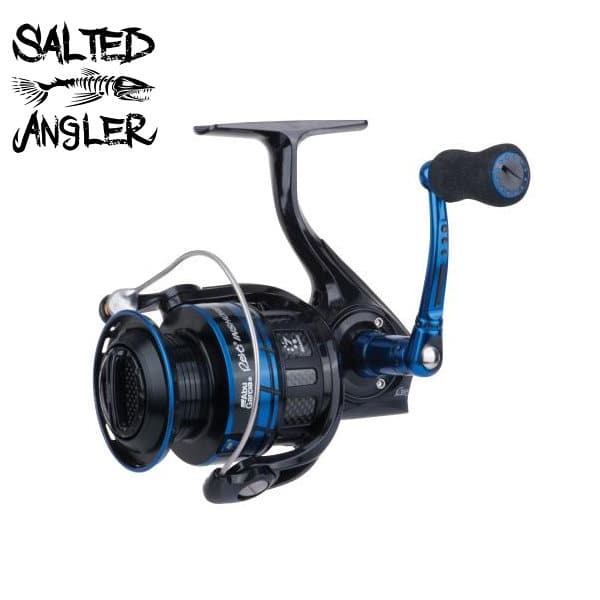 From Daiwa, I would have you take a look at the Daiwas Saltist which is a great reel. However, if we were to compare a 30 or 3000 to each other you would see that the Saltist has 15 lbs of drag as compared to 11 lbs of drag and weighs almost 2 oz more. While 2 oz might not seem like a lot at first after a full day on the water, I would choose the lighter weight reel if the drag was sufficient. When it comes to price, the two are going to be pretty close. 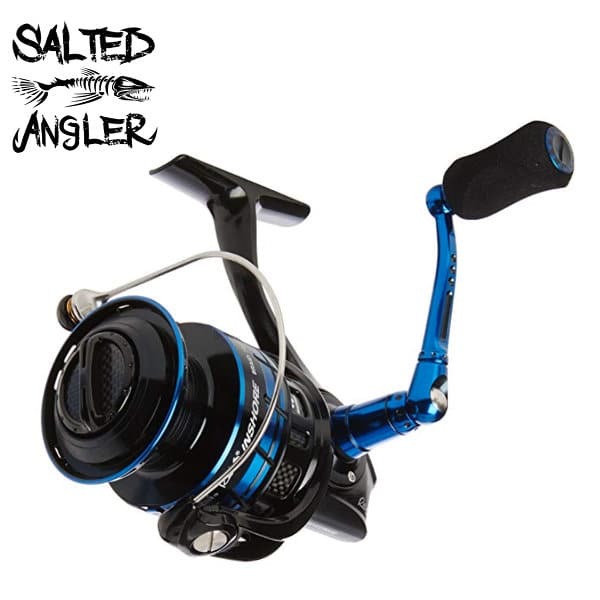 Read the full Daiwa Saltist Spinning Reel Review HERE. Also from Daiwa please don’t underlook the Daiwa Fuego LT spinning reel that in my mind is very comparable in the size 30 or 3000 and it comes in at about 60% of the cost. Read the full Daiwa Fuego LT Spinning Reel review HERE. 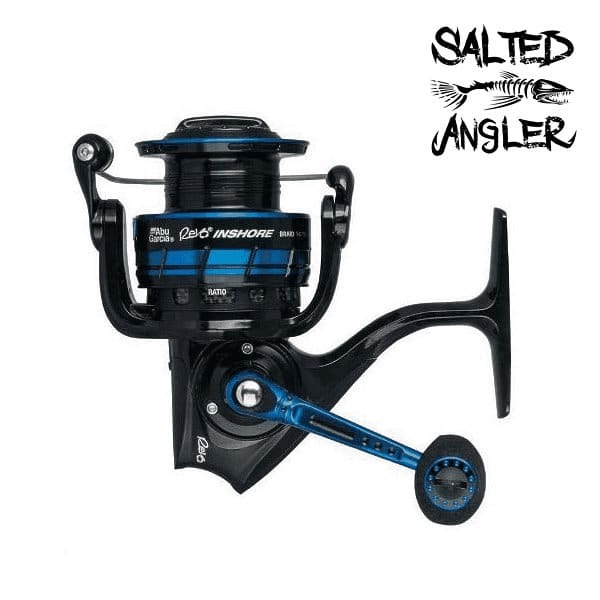 From Quantum is the Quantum Smoke Inshore PT series of reels that are similar in price and weight but also deliver a little bit more in the drag department. Again on the 30 or 3000 series, the Quantum Smoke Inshore PT delivers 20 lbs of drag as compared to the Revo’s 11 lbs. Read the full Quantum Smoke Inshore PT Spinning Reel Review HERE. 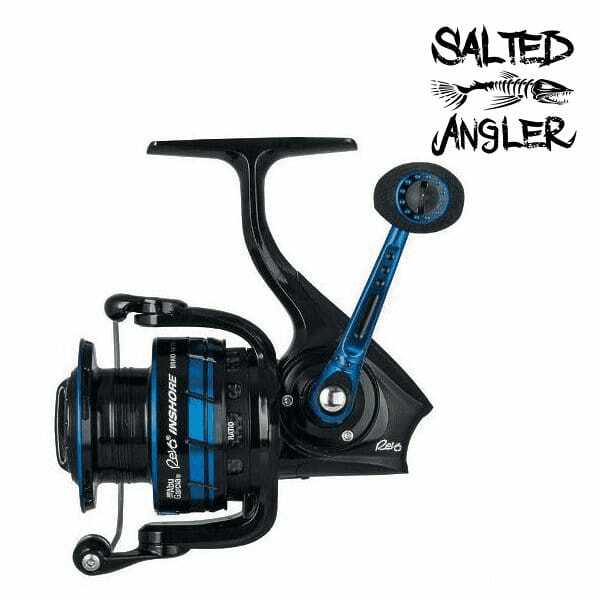 For you Shimano fanboys and girls, I would compare the Abu Garcia Revo Inshore to the Shimano Stradic FK spinning reel. As with all things Shimano, you are going to pay a little bit more for the name. In the 30 or 3000 sizes, you will get an additional 9 lbs or almost 50% more drag capacity at a weight cost of an additional 0.6 oz. This is a reel that is well proven in the field and one you should be taking a close look at if you are going to be buying in this price range. Read the full Shimano Stradic FK Spinning Reel review HERE. At the end of the day, the Abu Garcia Revo Inshore Spinning reel models are packed with power, have a quality build with tight tolerances and are fairly lightweight. When it comes to durability we will have to get back to you as we just recently started fishing this reel but so far so good. In this price point, there are lots of good options and some of it is honestly going to come down to brand loyalty.